This past weekend I attended a lesbian wedding hosted in a very cool rustic barn, and found myself lounging outside in an Adirondack chair, sipping a vodka soda from a Ball jar, and talking about housing with two people I had just met. The slim and toned woman, who seemed to have a strong hippie ethos, was working through plans to purchase a good-sized chunk of land that had as its lone dwelling a “Fonzie garage”: a garage with an attic room. She said she and her family didn’t need or want much living space; that what was important to them was being outside. The man, gray-haired and easily likable, had that pudgy “I’ve-been-successful-in-business” belly. He and his wife were in the market for a new house because they wanted to downsize to a single-story from their massive, fairly-new house. They found they didn’t even use two levels of the house. Yes, two levels. He mentioned they might purchase a motor coach to live in, which got me excited because I’ve been recently obsessed with living full time in an Airstream. I thought this scenario was awesome, because here were two seemingly very different people and right before my eyes – whether they realized it or not – they were talking about the intersection of money and deprivation. She didn’t feel deprived living in an attic apartment with her family because to them, pure acreage was important. And he didn’t feel deprived by not having a McMansion because being mobile was important. Doing this balancing act is hard, because you need to figure out what’s important to you first. Only then can you make decisions about where your money goes. She did it right, he did it wrong and is fixing it, and I spent years doing it wrong. After I graduated from college and was making good money in tech I too didn’t exactly know what was important to me. I do know I found it important to go bar-hopping with my buddies to the tune of $10,000 during my 20’s with not much to show for it besides a string of bad relationships. The day money finally clicked for me was when I happened to read a copy of Your Money or Your Life . If you haven’t read it, the title neatly sums up the epiphany it triggered for me: I can choose to trade my time for money in order to buy things, or I can choose to not buy most things and eventually I’ll have enough money that I don’t have to make that trade anymore. My time becomes all mine. I knew I wanted that. The wheels of my financial transformation were in motion, but it was incremental. Just like in fitness where there’s no magic bullet to drop 10 pounds overnight. When I wanted to change how I spent money, the biggest challenge I found was deep-rooted psychological barriers. First, I considered dropping cable TV. Soon, the daily espresso at the hipster-infested coffee shop became suspect. Then, it was time to sever the $10 a day habit of eating lunch out. He uses the 50-50 mortality probability: You’re either going to live or die tomorrow. In actuality, based on the Gompertz Law for Human Mortality, he won’t reach the real 50-50 probability until he’s around age 80 (fun little death calculator). But is it really self-deprivation if I still have everything I need? The old me would go to the liquor store and put together a case of wine, pay top dollar for organic fruit and vegetables flown to me from all over the world, and take super-expensive vacations to exotic places. The new me drinks box wine, eats organically and locally on the cheap, and flies roundtrip to England and Italy for $167. I’m still living the same exact lifestyle as the old me, except now I do it way smarter. I can still make more changes – moving into a less expensive shoebox of an apartment or an Airstream, selling my BMW and taking public transportation – but the point is I’ve become more disciplined by making some changes without depriving myself. Think about this: How many of us sit at work, and see that 50-year-old across the hall doing the same job we’re doing, and can’t imagine spending the next 10, 20, even 30 years doing what we’re doing? 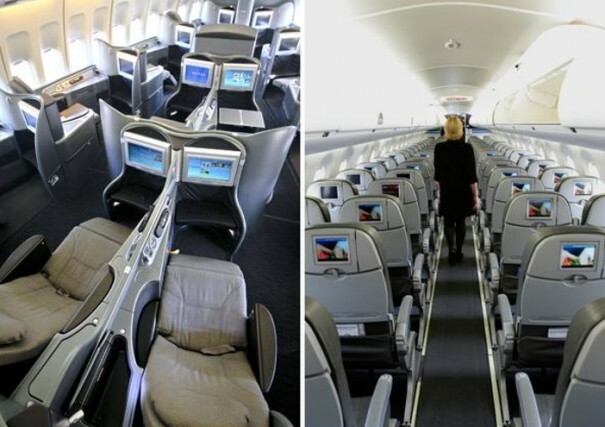 I could easily “treat myself” and pay full fare for business-class airfare to Europe. But if I did that – and business-class became my new normal – then I would have to do things that I don’t necessarily want to do. Namely sit in that cubicle for the next 30 years. For me, there’s no question what I’m going to do in that situation. I choose to travel and explore the world, not depriving myself of that experience, but I’ll fly coach and pay $167. In the beginning, I found changing my priorities and my lifestyle challenging, but it’s supposed to be! Give yourself credit for what you’ve done so far, stay with it because it will get easier and easier. Then one day, it will just become natural.